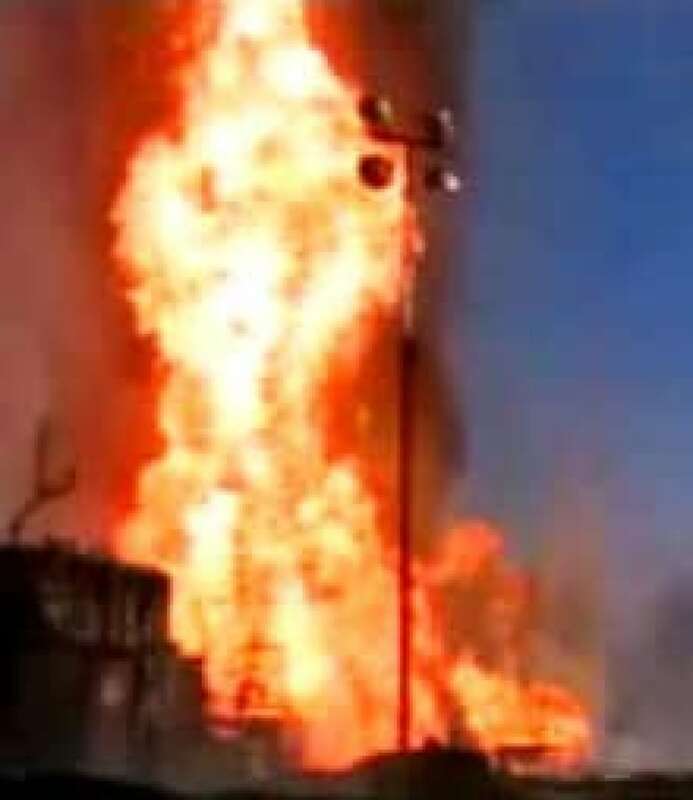 A blowout and fire at a gas well near Hythe in northwest Alberta has been brought under control after more than two weeks. The well, licenced to Canadian Natural Resources Ltd., exploded around 3 a.m. on Feb. 24. Emergency crews at the site have installed new equipment to prevent blowouts and pumped drilling mud down the hole, ending the gas flow. "Usually when you see something like this in Alberta, they get control of it very quickly," said Bob Curran, a spokesperson for the Energy Resources Conservation Board. 'In this case, just due to the nature of what happened, it took a little bit longer," he said. "Luckily, they were able to stop the flow of gas [Friday] from this well." Cement is now being pumped down the wellbore to ensure the gas flow is completely stopped. Field inspectors will remain on the site to monitor the air through Saturday as a precaution.